Situated in the heart of the premiere southwest valley of Las Vegas, the south point hotel casino is just a few minutes from the Strip of Las Vegas. There are many facilities including the 64 lane bowling center, 16-screen Century theatre movie complex and many restaurants to appeal to everyone’s taste. 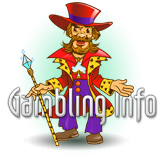 The casino has a wide selection of poker machines, slot machines and table games. The rooms of the hotel are very spacious with 42” plasma TVs, wireless fidelity and point plush mattresses everywhere. 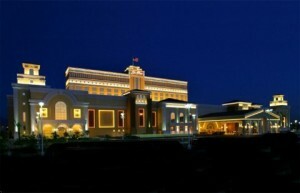 The Equestrian center is the unique aspect of the South point hotel casino. This is the finest of the horse facilities in the country. There has been a recent addition of a showroom which can seat 400 people featuring headliner entertainment and also live bands to whose tunes you can dance to on the weekends. If you just stop by the south point hotel, casino and spa, there is no reason why you wouldn’t stay. There are totally 2163 rooms in South point hotel and all the suites are located in the top floor. Guests staying at the hotel has the view of the glittering valley of Las Vegas and can find peace and harmony among the surrounding mountains. Each guest room is oversized and has all the functions of a suite that we can call them as the mini suite. They have high speed connections to internet and state of the art plasma televisions. Pacific colored patterns adorn the rooms which would remind one of the lifestyle of southern California. The size of the suites range between 900 sq ft to 2500 sq ft. Every accommodation, be it the suite or the guest room, has all the required facilities and finest materials. •	Jacuzzi and pool with beautiful landscapes. •	Gift cards in the hotel rooms. The gaming facilities of the south point hotel has more than 2270 famous poker and slot machines which uses the technology of ticket-in, ticket-out. There are more than 60 table games in the pit of the casino including Craps, 21, Fortune Pai Gow Poker, Roulette, 3 card poker, etc. There is a new Race and Sports Book featuring more than 300 seats for those who want to have some sports and horse action. The perfect area to get yourself a beverage would be the Del Mar Lounge and you can also watch the action from there. There are 600 seats in the Bingo room and it also features a Cash Ball and Progressive double action jackpot. If you are looking to relax your muscles then the Spa Costa del Sur is the place you should go to. 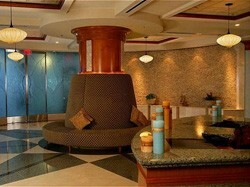 Located in an area of nearly 40,000 sq ft. the spa has a full-service salon and 28 rooms for treatment. The specialty of the salon is relaxation. Any kind of traveler, both the busy traveler who cannot spend much time and the leisurely one who wants to indulge, is catered to by the Spa. The objective of the spa is to relax, rejuvenate and pamper its clients. The menus are very extensive. Massage, surf city body treatment and skin ceuticals big cohune facial are some of the popular treatments offered here. The treatments are offered to both the sexes, for couples and teens and they use cutting edge methods. They are also specialists in dehydrating and corrective treatments for any part of your body. There are 10 flavored lotions to choose from for the massage. Just one visit can rejuvenate anyone.